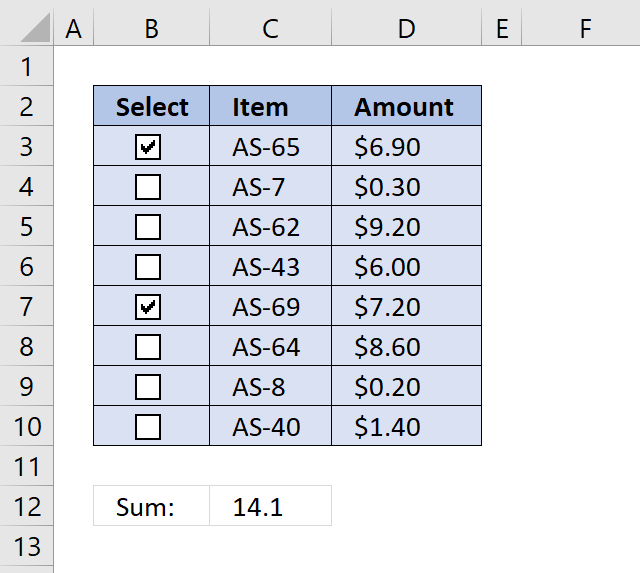 In this post, I will demonstrate a macro that creates checkboxes in nonempty rows, see checkboxes in column E in image above. The button "Add Checkboxes" next to column E is assigned to macro Addcheckboxes(), click the button and the macro will be executed. The same thing goes with the button "Remove Checkboxes" next to column E is assigned to macro RemoveCheckboxes(), click the button and that macro will be executed. 'Don't refresh or update screen while processing macro, this will make the macro quicker. Press Alt+F11 to open the Visual Basic Editor. Right-click on your workbook in the Project Explorer, see image above. 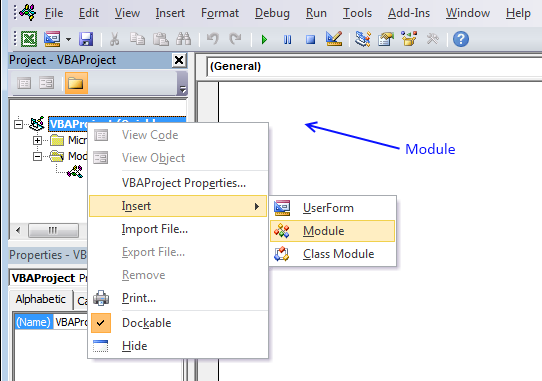 Paste VBA code to the module. 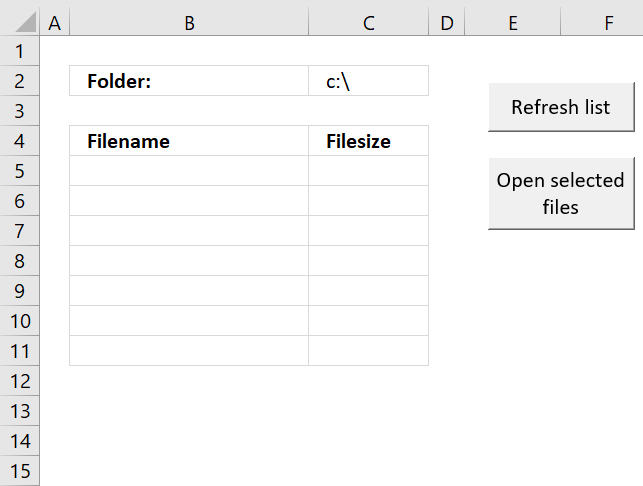 Exit VBE and return to Excel. I have assigned the macros to two buttons: "Add Checkboxes" and "Remove Checkboxes", the top image shows these buttons. Click and drag on the worksheet and then release mouse button to create the button. 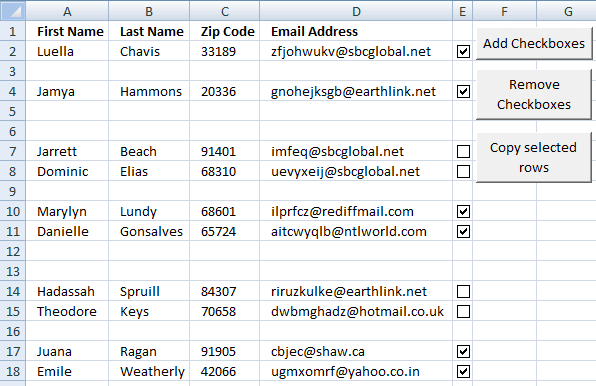 In the next post I will describe how to copy selected rows to another sheet. Hi Oscar thanks for posting the Addcheckboxes code, it's just what I have been looking for! 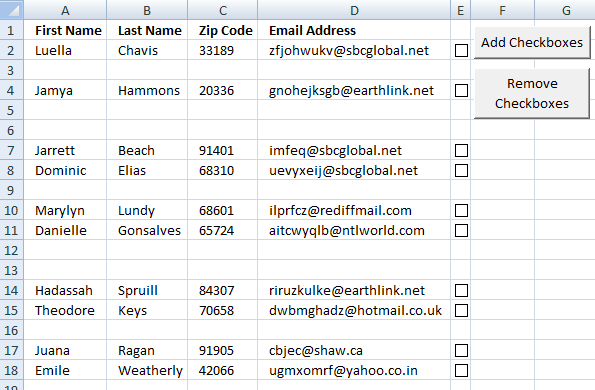 I need to modify it to search through a named range ( as opposed to the last row with data. I am not proficient in VBA at all , so when I tried to alter the code it was rejected.